The T-60 is a Rank I Soviet light tank with a battle rating of 1.0 (AB/RB/SB). It was introduced in during the Closed Beta Test for Ground Forces before Update 1.41. One of the less appealing Soviet vehicle due to its weaponry and layout, but can still perform if utilized correctly and its faults are accounted for. The T-60 is a fine little tank that excels in very particular situations; namely holding corners, flanking, and acting as a close range SPAA. This tank should never be used in long range shooting or in pushes against an enemy head on, one should always try to use its speed and maneuverability to gain an advantage before attacking. In a SPAA role, the long reload time for this tank's main weapon can be a severe disadvantage. This means that one should use controlled bursts when attacking airplanes, making all shots count, and only picking large slow moving targets when at range. The presence of a co-axial machine gun, however, not only adds to the fire density, but allows for the tank to fire whilst the cannon is reloading. This machine gun has no utility against armoured targets. In this role, the T-60 is the only SPAA in this rank that does not have to fear 7.7 mm rounds (although 12.7 mm rounds can be very deadly - the M2A2 is a very dangerous opponent, for instance). This means that T-60 pilots can be confident that they can survive being strafed by most fighter aircraft. In RB this tank serves as a perfectly capable replacement for the 4M GAZ-AAA. In conclusion, the T-60 is a versatile tank of good effectiveness that is a constant presence of any Rank I ground forces game. Its gun gives it easy penetration at the sides and some fronts of low rank tanks. This is a very versatile tank and that is its greatest strength. Its greatest weakness is its horrible all around armour, always remember that you will probably not survive a single hit from an AT gun, and as such stay hidden and behind cover. In order to accomplish this use this tanks great maneuverability to your advantage and try to hug cover and move in depressions of the landscape. When using this tank always attack from an unexpected angle then shot your entire belt and afterwards always re-position after an attack. A great strength of this tank is that at any point it can go from flanking an enemy tank to acting as a front line SPAA, and in many games this amazing ability that can save you and your comrades from certain death at the hands of a enemy bomber or attack plane. In 1938, a task to create an amphibious and non-amphibious scout tanks was given to Nicholas Astrov's design team at Moscow Factory No. 37. The result was the T-30A and T-30B prototypes, with the A model being amphibious. The T-30A went on to become the T-40 amphibious scout tank, while the T-30B went on to become the T-60 scout tank. Production started on July 1941, one month after the German invasion in Operation Barbarossa. Originally with a 12.7 mm machine gun, the T-60 was upgunned with a 20 mm TNSh cannon, which was derived from an aircraft cannon. The gun could penetrate 15 mm of armour at a 500 meters range, which proved very inadequate against the Germans Panzer IIIs and Panzer IVs, which had a maximum of 50 mm of armour on the front. 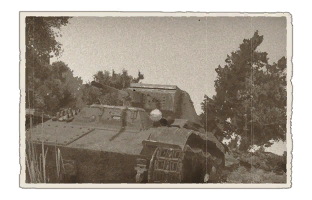 Not only that, the scout tank had poor mobility on cross-country terrain and had a maximum armour of only 20 mm thick. Despite that, the T-60 was easily produced and 6,292 of these tanks were produced between 1941 and 1942. The low gun performance urged for an attempt to upgrade the tank with a 37 mm ZIS-19 cannon or the standard 45mm tank gun. Both of these projects were proven impossible. 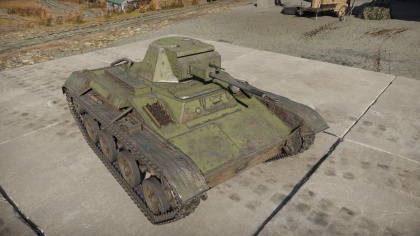 The T-60 served as a light tank up until the better T-70 light tank was chosen as the new standard Soviet light tank in 1942, which had better armour and gun. The T-60 went on in armour developmental projects for the Soviet forces, such as the designing of the T-90 anti-aircraft vehicle. But perhaps its most unique project that it played in was the Antonov A-40, which was the Soviet's attempt on a "flying tank". The A-40 was a glider design that has wings attached to a lightened T-60 (removing its armament, ammunition, some accessories, and most of the fuel). On September 2, 1942 in a test, the prototype was towed by a TB-3 Bomber into the air. When released, the A-40 reportedly glided smoothly on its descent, despite the drag it put on the TB-3 plane. The A-40 landed safely and was able to drive back to the testing site after detaching the wings. The project was then abandoned due to the lack of enough aircraft with the power to tow the A-40 at 160 kilometers per hour speed. The T-60 also were used by the Romanians when they captured 34 of them and modified them into the TACAM T-60 and Mareşal M05, both tank destroyers. All examples of these vehicles were confiscated by the Soviets after Romania switched to the Allies. This page was last edited on 12 March 2019, at 18:32.